Cryptocurrencies such as Bitcoin and Ethereum are widely considered by many market participants to function as investment vehicles — real-world applications of blockchain technology take a back seat to speculation with mass adoption remaining a distant goal. While this process slowly progresses in the US and Europe, Southeast Asia has embraced the blockchain revolution. From Cambodian blockchain-based micro-lending programs to Thai Bitcoin Cash beer gardens, Southeast Asia is already a hotbed of blockchain-based innovation. With astoundingly high mobile phone usage and existing widespread acceptance of cashless payment solutions such as LINE pay and wePAY, Southeast Asia is ground zero for distributed ledger disruption. Blockchain technology presents the opportunity to dramatically disrupt the current banking paradigm in which, according to data published by Oliver Wyman and the Asian Development Bank, only provides financial services to 62% of people worldwide and only 27% of the Southeast Asia’s 600 million people have bank account access. One of the major promises of Bitcoin and other cryptocurrencies, however, is “banking the unbanked,” allowing cryptocurrency users to effectively become their own bank. All that is needed to take advantage of digital currencies is access to a smartphone — which is already extremely common in Southeast Asia. Data released by GSMA Intelligence demonstrates that Southeast Asian mobile phone penetration contributes over 5.2% to the collective GDP of the Asia-Pacific region, which is anticipated to account for almost two-thirds of new subscribers globally by 2020. High smartphone penetration, combined with a lack of existing banking services, led to the creation of a financial ecosystem reliant upon solutions such as LINE Pay and wePAY, mobile-based payment solutions used extensively throughout Southeast Asia. The Asia-Pacific region accounts for over 52% of all mobile payments worldwide, making Southeast Asia the perfect ecosystem for real-world cryptocurrency adoption to propagate. 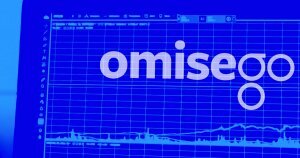 Thailand-based payment solution and alternative banking blockchain platform OmiseGo already enables Southeast Asian crypto enthusiasts to transact in cryptocurrency, notably partnering with Alipay — the largest mobile payment platform in the world — allowing over 450 million consumers to transact via OmiseGo. Payments aren’t the only element of the Southeast Asian economy that is currently being disrupted by blockchain technology. Digital currencies are quickly becoming extremely popular for the microfinancing opportunities they present to underbanked individuals attempting to launch small to medium businesses. DApact is a prominent microfinance platform used in developing countries as an alternative to traditional banking systems. The DApact solution, which offers Ethereum-based lending that targets the small to medium enterprise finance gap, provides loans directly to user wallets. DApact automates the AML/KYC process and collateral registration through a Facebook Messenger bot, letting users register motorbikes as collateral through a license number. Interestingly, DApact is able to confirm the value of this collateral by checking the national vehicle registry in countries such as Cambodia, streamlining the loan application process. 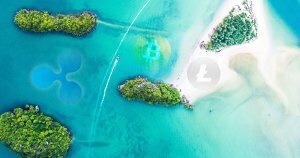 International transfers from Southeast Asia are also shifting toward cryptocurrency. Filipino caregivers working in the United Arab Emirates frequently send money back to family members in the Philippines, which becomes costly. Using traditional international transfers, the fees for a $200 transaction typically exceed $8. Coins.ph, an app that provides international remittance using Bitcoin, has become popular within the Filipino community, allowing family members to support each other across international borders without incurring heavy transfer costs. The ability to quickly and easily transact across international borders is attractive to individuals in Southeast Asian countries such as Thailand, where exchange control regulations can be strict. Cryptocurrency adoption may be progressing slowly internationally, but the Southeast Asian economy is already pushing toward a decentralized world in which payments, loans, and international transfers via cryptocurrency are an everyday occurrence.